A woman suffering from schizophrenia discovers the Smiths in an occasionally lively 1980s-set comedy drama, adapted by Jo Brand from her own novel. The former psychiatric nurse is no stranger to the subject matter and her salty wit and knack for observation are present and correct, but debut director Keith English is less sure-footed, slightly bungling the promising material by failing to set a consistent or complimentary tone. Shot in and around Blackpool, it follows Alice (played by Ella Hunt in her teenage years) as she struggles to escape the shadow of her mentally ill mother Gina (Sheridan Smith). She's aided by her supportive father Keith (Mark Addy, keeping things grounded) and a collection of more colourful characters, including Alice's grotty granny (Sheila Hancock) and a deeply unprofessional GP (Sally Phillips), who holds a torch for Keith. Even Alice's love for the Smiths gets hijacked when Gina emerges from a drug-induced fog. Making light of misery isn't the problem; Brand (who appears as a local shopkeeper) is a master of the if-you-don't-laugh-you'll-cry school of comedy – epitomised by her small-screen triumphs Getting On and Damned. However, The More You Ignore Me adopts a largely sunny disposition that manifests itself in a twinkly score, incongruously chipper soundtrack (a couple of Smiths tracks aside) and general unfamiliarity with anything resembling nuance. Furthermore, it's unfortunately timed to coincide with another of Morrissey's objectionable outbursts, making it hard to square the rosy glow of nostalgia and Morrissey-worship with the significantly soured present-day context. Yet the film flies when the focus is on the charismatic Smith, who captures not just the combustible, freewheeling and obsessive facets of Gina's personality but her spark and sweetness too. Powerful medication strips Gina of her vivacious personality and any semblance of a life, holding her in a compliant but near-silent stupor. After the chaos of what came before, Alice finds herself growing up with a mum who is barely even there. 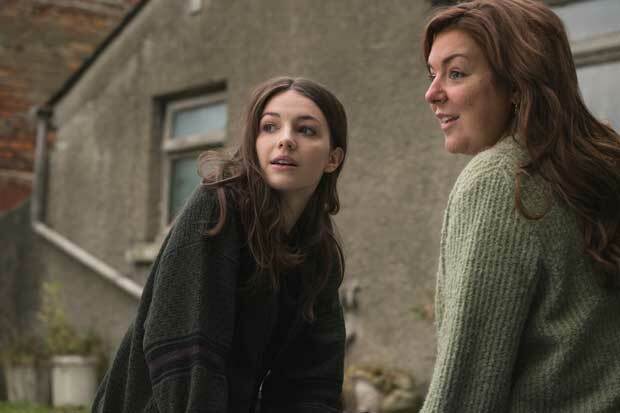 The sidelining of Gina for long stretches leaves Hunt to shoulder the film and, although the fledgling actress does so with a certain amount of confidence, her character is nowhere near as interesting. The challenges of living with a mentally unstable matriarch was robustly explored in John Cassavetes' masterful A Woman Under the Influence. This might lack even a fraction of that film's compassion and complexity but there's room for many such stories and this one feels quintessentially British, capturing the messing up and making do through a quirky lens. Moreover, the way it interrogates and eventually embraces an unconventional female character and upends assumptions regarding mental illness is something to be celebrated. If The More You Ignore Me is ultimately a bit of a disappointment it's partly because Brand's track record as a writer promises so much more.